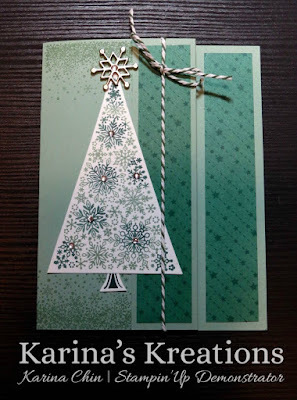 I made this cute card using Snow is Glistening Stamp set which is avaialble until Nov 30 or while supplies last. I started with a Mint Macaron card base scored at 4-1/4" and 1-1/4". Fold back the 1-1/4" section. 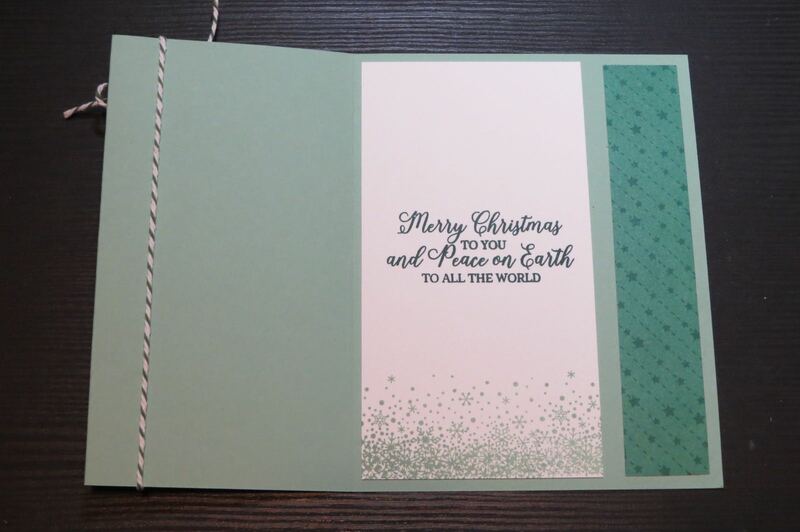 All is Bright 1" x 5-1/4" Designer series paper was attached the card. 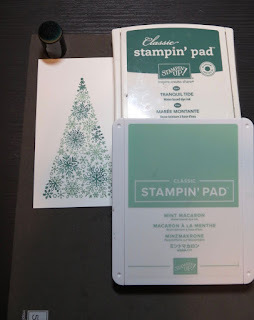 TIP: I created a two toned tree by inking up the stamp with Mint Macaron ink and applying Tranquil Tide ink with a sponge dauber to the stamp and stamping the image on Whisper White card stock. For embellishments, the snowflake trinkets, Rhinestone jewels and Garden Green Baker's Twine was added to the card.